Feeling frustrated by Splatoon 2's motion control mechanic? Here's how to disable it. Nintendo does what Nintendo does, and for the last few console generations, one of the biggest draws to the company's hardware has been motion controls. Of course, gamers being the way they are, not everyone wants to get up and move about -- sometimes, just sitting back and relaxing during a game is the more preferable option. Fortunately for players not too keen on the motion control options in Splatoon 2, Nintendo has included a way to disable motion input. Here's how to disable motion controls in Splatoon 2 for the Nintendo Switch. 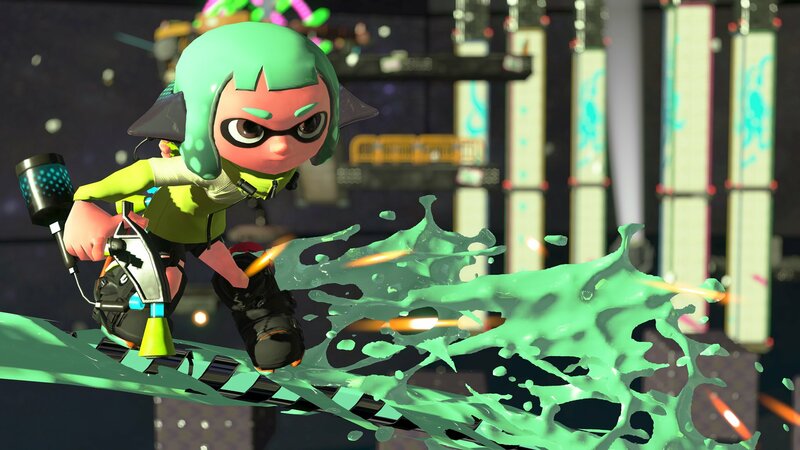 As many aspiring ink-slingers have found out, Splatoon 2 has motion controls set to be on by default. This means that players who might not know any better will try to get acclimated to aiming and shooting by waving their Joy-Con controllers around. While the motion mechanic may be fun in its own right, serious competitors will want to disable it. Luckily, doing so is a simple process. To disable motion controls in Splatoon 2, simply boot up the game and head over to Inkopolis Square. Do note that this isn't possible until the beginning tutorial has been completed. With that requirement aside, simply open up the in-game menu by pressing X on the Joy-Con, navigate over to the game's Options tab, and start thumbing through the available choices. All the way at the bottom, players will find a toggle option to disable motion controls. For all of the players who might find motion controls to add an extra layer of fun, Nintendo has also included options to tweak things like aim sensitivity and control speed within the motion control play style. These settings can also be found within the aforementioned Options page. Looking to expand your Splatoon 2 knowledge? Head on over to our Splatoon 2 guide hub to learn about how to unlock the single player campaign as well as check out the full arsenal of weapons available in-game.